The St. George’s University Dean of Clinical Studies (UK) since 2003, Dr. Rodney John Croft is responsible for overseeing the affairs of students on their clinical rotations in the UK as well as the students who are part of the Keith B. Taylor Global Scholars Program who spend their first year in the UK before joining their peers in Grenada. He has also been the Director of Medical Education for St. George’s University at North Middlesex University Hospital London since 1986 and Professor of Surgery from 1999. 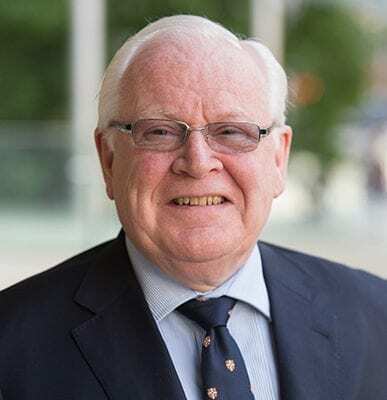 Previously, he served SGU as Chairman of the UK Surgical Faculty from 2000 to 2003, member of the SOM Clinical Division Executive Committee from 2000 to 2003, and member of the SOM Executive Committee from 2002 to 2004. He is also a member of the SOM Clinical Academic Progress Committee since 2000 and the Board of Admissions, University Council of Deans, and St. George’s International School of Medicine UK Trust since 2003. Outside of his work at SGU, Dr. Croft is the principal UK expert representing the British Standards Institution (BSI) and Department of Trade & Industry on International Standardization Organisation (ISO) Committees and European Committees for Standardization (CEN) for Cardiovascular Implants since 1993 and national expert for Clinical Investigation of Cardiovascular Devices with the UK Medicines & Health Care Products Regulatory Agency, an executive agency of the Department of Health since 2003. Dr. Croft received his BA (1965), MB, BChir (1968), MA (1969) and MChir (1982) from Cambridge University. He became a Fellow of the Royal College of Surgeons of England in 1972 and a Fellow of the American College of Surgeons in 1984.